I attended the Canadian Seed Trade Meeting this week in Montreal. Every year the Canadian seed trade gets together to discuss the issues affecting the industry and meet within the industry to discuss business deals. The seed industry has many issues affecting it currently. 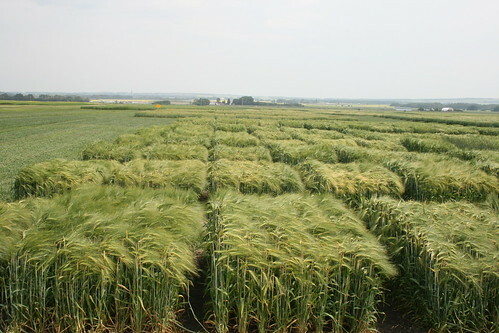 Between flax exports, potential introduction of transgenic wheat, pollen flow and intellectual property protection, there is no shortage of topics to sort through as a group. These are the issues that are in the news but there is an even greater story being written on the side of innovation. In my mind innovation creates opportunity for the whole value chain. I may be biased but the seed industry to me has always been a driver of the future opportunities in agriculture. Whether it is research, commercialization or providing innovation, the seed industry plays a major role in the future of farming. To many times farmers or the general public think of the seed industry as just Monsanto. Don€™t get me wrong companies like Monsanto plays a vital role in the industry but there are many smaller and independents that contribute to the viability of the business. €¢	A renewed focus on cereal crop breeding due to the investments by Monsanto, Dow, and Bayer. Just a note that Syngenta has been breeding wheat for a number of years already. €¢	Greater protection from pests and increased flexibility with the adoption of SmartStax technology in corn hybrids. The above is just a short list of the opportunities that will lead farmers into the next fifty years. The seed industry focuses on innovation and by attending the CSTA meeting in Montreal, this has never been more the case. Under the Microscope — What’s Downgrading Wheat?